“Comfortable”, “homey”, and “friendly” are the most common descriptors we hear from our guests when they are describing why they like staying at Ahoy Guesthouse. Guests have commented that they much prefer staying here than in a standard hotel, and several happy guests have gone so far as to tell us that we “have thought of everything”! We are committed to providing positive experiences and are very pleased that our guests are enjoying themselves so much. Of course, living on a beautiful gulf island doesn’t hurt! Many guests have been impressed with the beauty of the area, with island living, and with the friendly community. Scroll down to read what some of our guests have written about Ahoy Guesthouse in our Guestbook, and go to Airbnb Reviews to see the full reviews by our guests who have booked through that booking service. Thank you so much for sharing your little piece of paradise. It was so great getting to talk to you. Thanks for all the thoughtful touches like the baby blankets, chocolates, and explaining the tides so we could walk across to Newcastle Island. It was a great week! The minute we arrived at Ahoy Guesthouse we were warmly welcomed. Our accommodation was great, a bright and cozy place and comfortable beds. We had everything we needed and more! Thanks for a wonderful time. We hope to return to this special place! 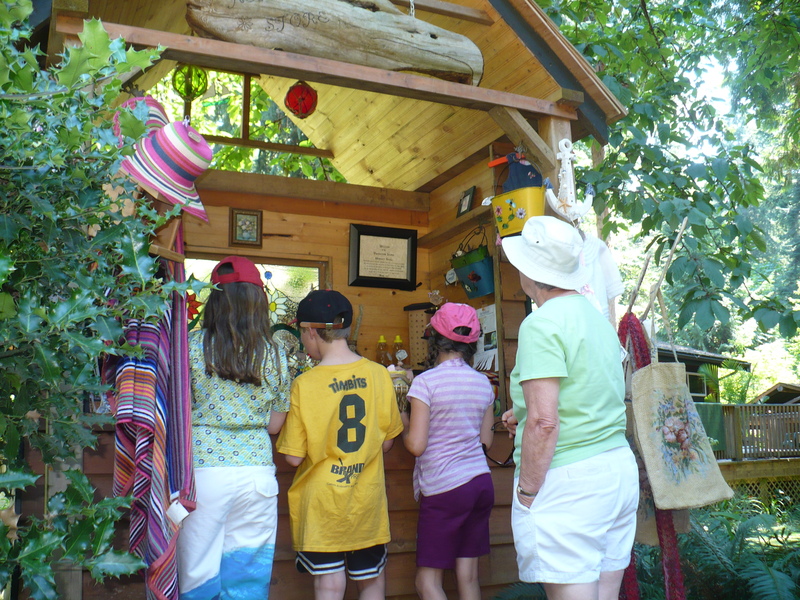 The place is great for kids as there is a play nook full of toys and the backyard has a tree swing and other toys. The kids loved playing in the tidepools on the beaches around the island.